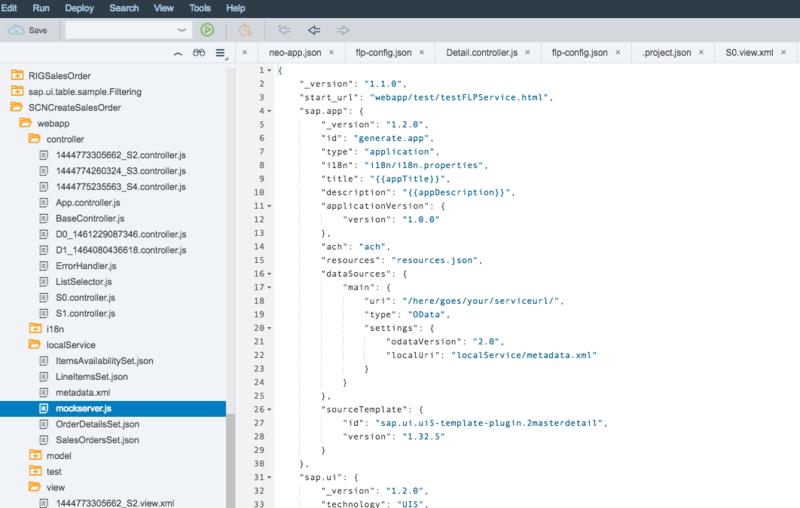 Using Build, WebIDE and Cloud Portal with theming a good looking demo Fiori Launchpad with dynamic tiles and news feed can be put together in a few hours. One of the challenges some developers are facing in this area is reusing MockData in FLP from the applications they generate from build projects. The following discussion archive from earlier this year delves into the problem and looks for solutions. We will perform a simple walkthrough on how I overcome the MockData issue (perhaps there is a more elegant solution someone can share). Build comes with a really useful gallery that provides a significant time saving when starting to build an app. 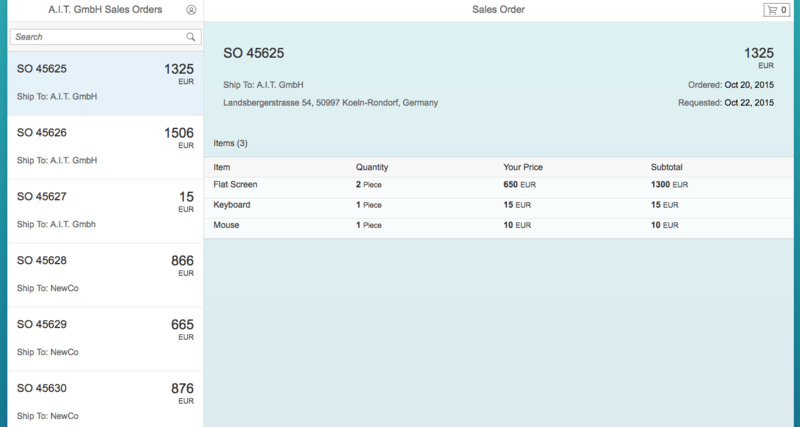 For this demo we will use the Create Sales Order template from the gallery. 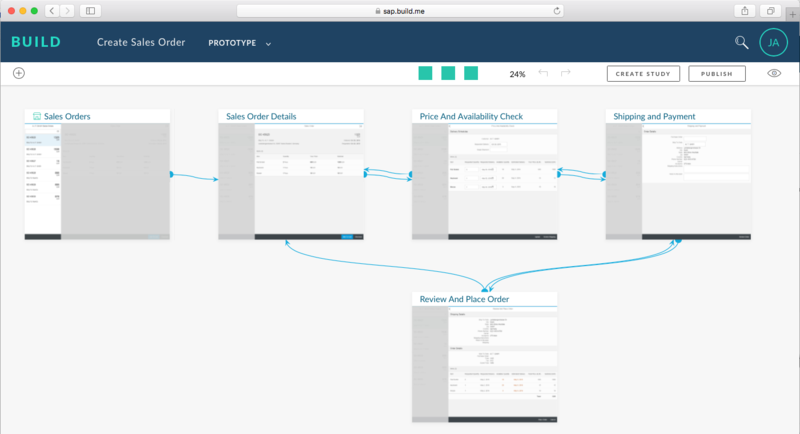 Create Sales Order enables a Sales Representative to create or display sales orders. You can use this as starter prototype for your related project. Pattern: Collect & Checkout / Responsive: Yes / Persona: Sales Representative. Clone the template into your build account. We won’t make any changes, we will simply publish it so that we can import the project into SAP WebIDE on an HCP Trial account. Select the PUBLISH button at the upper right of the page. Then Publish Project. 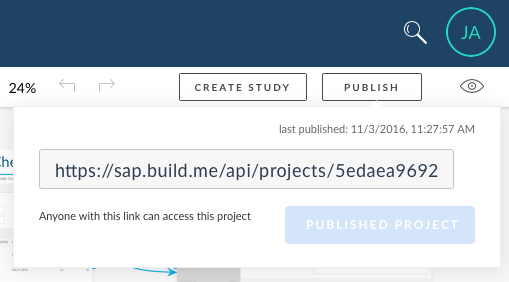 Once the URL is visible we can then import the project into WebIDE. In my trial HCP account i have the WebIDE service enabled. Inside of WebIDE the BUILD plugin is enabled. This allows us to import the project into WebIDE from build by creating a new application from template. 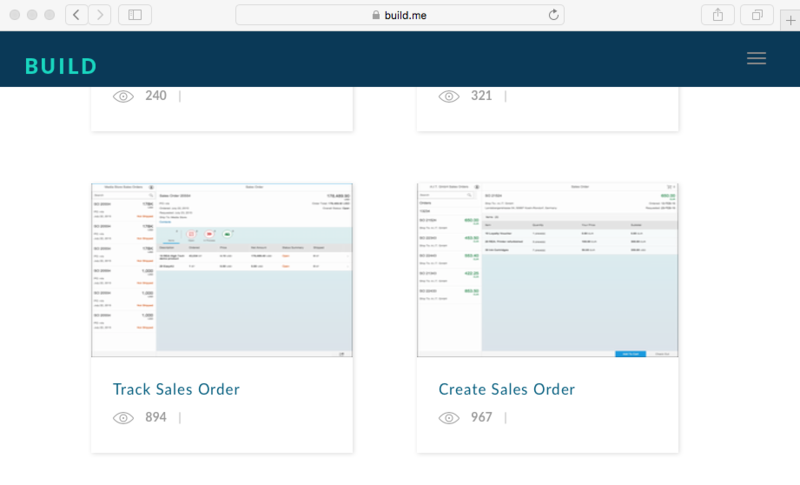 From the STANDARD_TENANT I am selected the Create Sales Order app created earlier. This creates the project in WebIDE complete with Mock Data. Running this application with “Run as… Web Application” from WebIDE we can see the app running with Mock Data. In minutes we have been able to create good looking Fiori application that we can test from WebIDE. We will now push this app to HCP so that we can use it in the Cloud Portal. 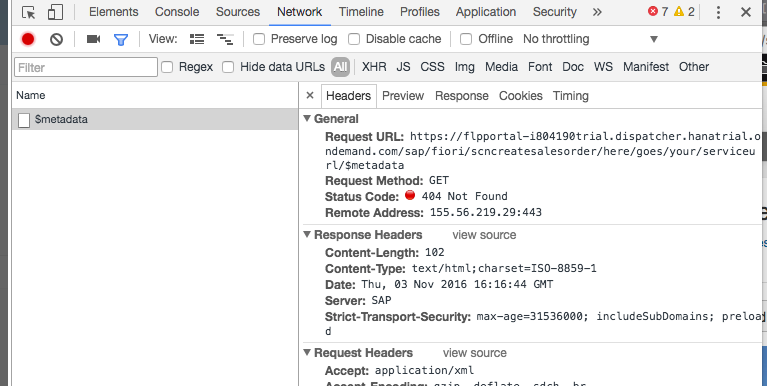 Register it to the SAP Fiori Launchpad and follow the wizard to select the Site to deploy it to. Once the wizard is complete and the app successfully registered, open the Launchpad. The application was created from build and imported into WebIDE. The data was not created from a real OData service. 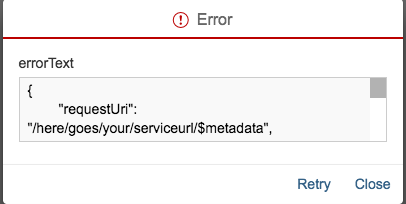 We can see in the error that the application is trying to retrieve the metadata from a service that is not configured. When the app runs in the launchpad, the Mock Server is not initialized as it would be from the test.html in WebIDE. 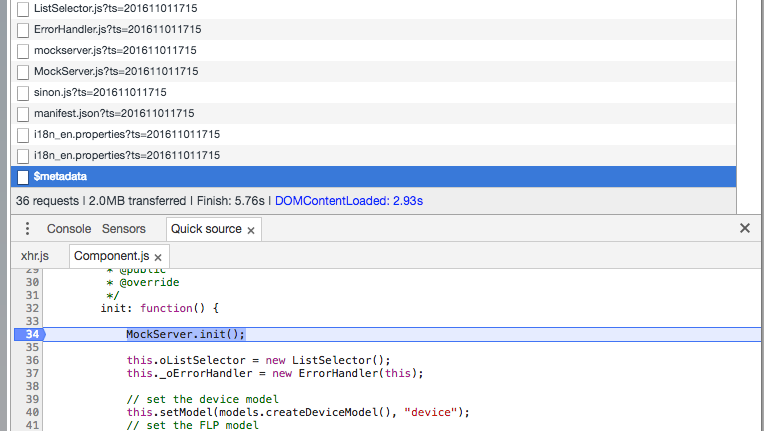 We need to initialize the Mock Server in Component.js. If deployed again to HCP this will load the Mock Data, however we will get an error popup again. Now however if you press “retry” the Mock Data will load. The metadata is being loaded before the MockServer is initialized. This means that the Mock Server will not handle the metadata request, but it will as we can see become a failed network request. To prevent this, and I am hoping there may be a more elegant solution, I removed the default model from Manifest.json and created the model in Component.js after the Mock Server is initialized. Delete this (including ‘,’) in Manifest.json sap.ui5.models section. 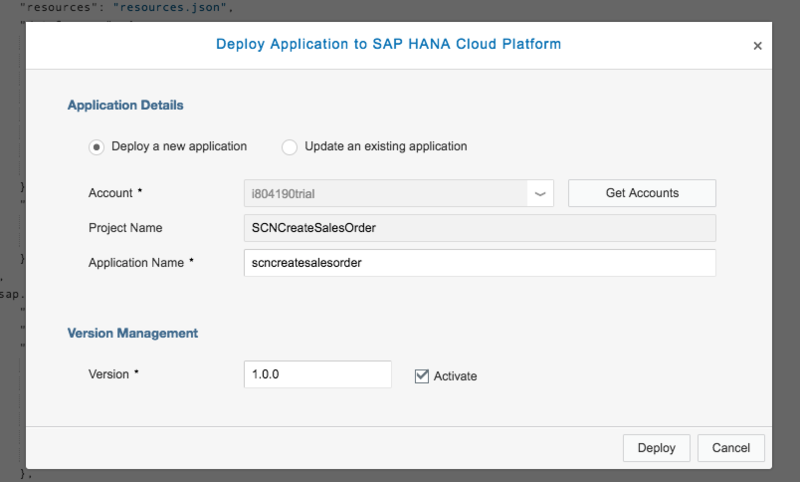 Once again deploy the app to HCP and run from the Launchpad. The app should now be loading the Mock Data without any error messages. If there is a more elegant way of enabling MockData on FLP I am all ears, however for now the process to go from an idea in BUILD to running a proof of concept in Cloud Portal is something that can be achieved quickly. Nice blog. 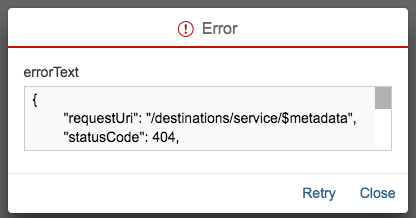 But, is build plugin coming as default in WebIDE? Because I dont see it in my WebIDE when I want to create new project. You need to enable it in the WebIDE plugins. Then you will see it as a template option. Thank you John. Will try. When you deploy to HCP do you see the version increase? Did you try clearing the cache? is it also possible with a deployment to a real abap backend? You can connect to a real service instead of using mock data. You would of course not need make the changes I made to enable mock data to run in the portal. Are you looking to use something explicitly from BUILD? If not a WebIDE template created app that consumes and OData service can act as an efficient starting point for building an app. another question: where does this path /destinations/service go? can u give me an overview of your folder structure? When the default model is removed, the destination is no longer used, so technically it doesn’t go anywhere. This is very great blog. I hope that you are able to help me. Thanks Alexandre, I will run through this again and make updates. I am happy to see the blog is still useful . Thank you for this tutorial! I’m beginning with the cloud platform and your way is the only way i found to deploy apps with mock data! I will definitely take a look at your other blogs !